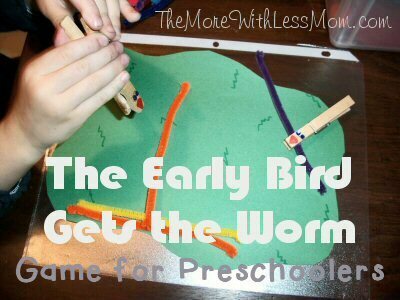 In this game your preschooler uses their fine motor skills to help a clothespin bird catch pipe cleaner worms. I found this idea on Babblin Brooke. 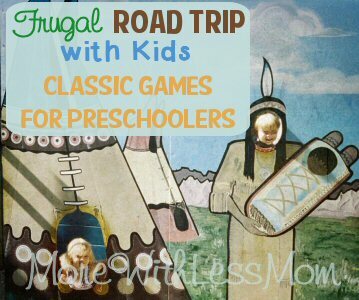 I created this game for our Binder of Fun for a road trip. 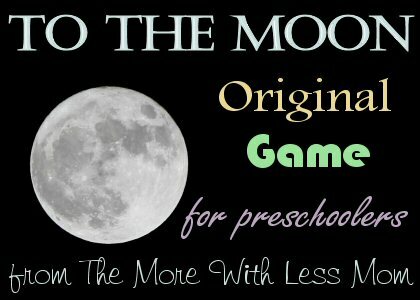 My three year old really liked it. I cut a piece of green construction paper into a “nest”. I scribbled some grass squiggles on it. If I was organized enough to be able to find my easter grass I would have hot glued that on there. I hot glued little sparkles on for eyes, used black sharpie to draw little feet, and used a red sharpie to draw a beak. You could also make paper wings, or glue on feathers. 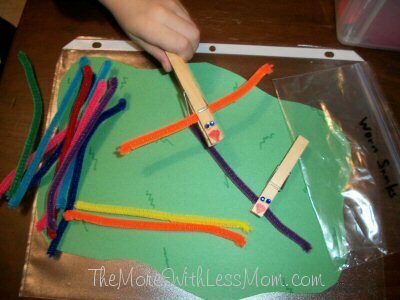 Cut pipe cleaners in half to make worms. 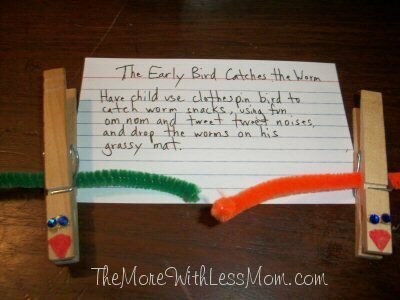 Have your child use a clothes pin bird to catch worm snacks, using fun om nom and tweet tweet noises, and drop the worms on his grassy mat. Your child may need to use both hands. Smaller siblings can use their fingers as the bird. Later you can pick up the worms in rainbow order. 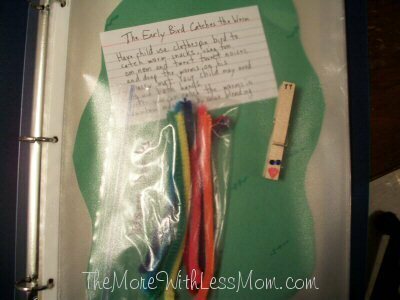 To extend this activity you could make a construction paper basket to use as a nest. That’s a pretty nifty game. Thanks for the suggestions!